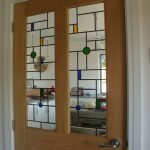 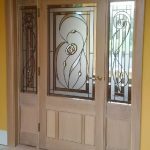 In 2012 we had an enquiry from a customer asking if we could create a pair of large glass panels for a set of internal doors. 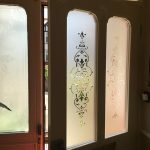 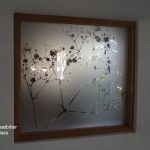 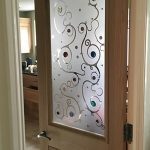 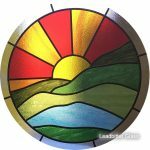 The client supplied us with a photo that they had taken from a friends home and they wanted to get their glass created looking as close as possible to their friends doors. 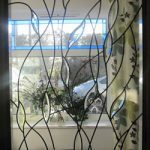 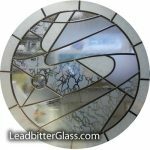 The glass was manufactured using 3 different techniques – the background of the glass (except for the stripes and design features) was all sandblasted using our automatic glass sandblasting system. 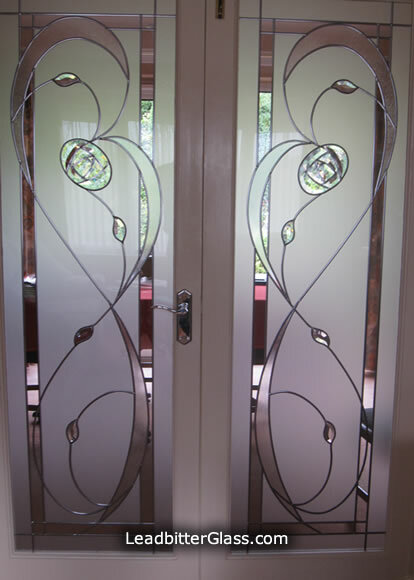 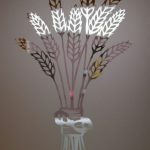 The oval shaped roses and the leaves were created using bevelled glass shapes and the long flowing arcs were created using our texture 700 frosted overlay. 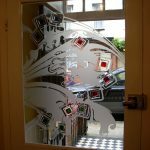 We used dark lead strip and the striped border around the glass remained clear.